The shopping is done and the packages are wrapped and under the tree. The feast is waiting to be cooked. The relatives will soon be here to join in the celebration. These last few days before Christmas are filled with the anticipation of our hopes for a happy day spent with family and friends. This is a good thing. But it’s not why Christmas is an extraordinary day. Christmas is the day that is the great ending and the great beginning. It was the end of a world without hope and the first day of a world infused with heaven. Scientists refer to something called the “singularity.” It describes situations which are so utterly unique that there really is no precedent or good and simple way of describing them. You often hear it describing the moment the universe began as well as that future time when the artificial intelligence of our computers will develop self-awareness or consciousness. The robot rising, when what we’ve created becomes sentient and probably turns against us. It’s interesting and a bit scary, but it’s nothing compared to Christmas. That day was the Great Singularity. From it, we have divided time itself into “Before Christ” and “Anno Domini.” The Creator became a human being. This makes a self-aware robot look silly and tame. There is nothing silly or tame about the power and meaning of Christmas Day. It’s no contest. 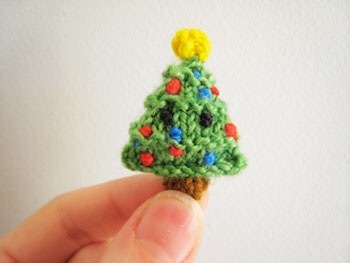 In fact, the immensity of Christmas is such that it’s too much for us weak little humans to bear. So over the centuries we’ve toned it down. If we really lived the truth of Christmas, if we truly embraced it—it would overwhelm us. We’d fall to our knees in worship. Like the shepherds did on that first Christmas. But that’s not for us. Living in that Christmas reality would make our lives too-centered on God and His plan for our salvation. It would require us to change our priorities. It would mean we’d have to accept the love of God. It would mean that we’d be made aware of our sins. By the Light of His coming, we’d turn from sin and embrace the Gospel. We’d see the needs of others and we’d give our lives in service of the poor, the homeless, the sick, the imprisoned and the forgotten. We’d stand up for the oppressed. We’d feed the hungry. We would love others as Christ first loved us. But the Light born on Christmas asks too much of us, and so we try to keep it as dim as possible. It hurts too much to let that Light shine through us. We remove all mention of God from our public discourse. We separate faith from our jobs and our schools. We teach our children to value tolerance over truth and to never offend anyone by saying “Jesus Christ is Lord and King.” We legalize and fund the killing of innocent unborn children. We create a culture whose values are based on current public opinion rather than on eternal and unchanging Truth. We try to keep God as small and marginalized as possible. A small god in a far-off heaven makes it easier for us to live as we want to live, without interference. We prefer “Elf on a Shelf” to the Babe in the manger. We like “Jingle Bell Rock” way more than “Let All Mortal Flesh Keep Silence.” Candy canes to crucifixes. And so, as you gather to celebrate Christmas, the strands of twinkling lights (“The people who walk in darkness will see a great Light…”Isaiah 9:2) on your tree (“The God of our ancestors raised Jesus, though you had Him killed by hanging Him on a tree”Acts 5:30), try to forget what Christmas (Christ’s Mass) really means. Don’t go to Church to give thanks and worship. Don’t read the Nativity story to your children. Don’t pray with your family or share your feast with a lonely neighbor. Don’t let the Truth of the Incarnation change your heart or open your eyes. Christmas is just another day, after all. And the smaller, the better. 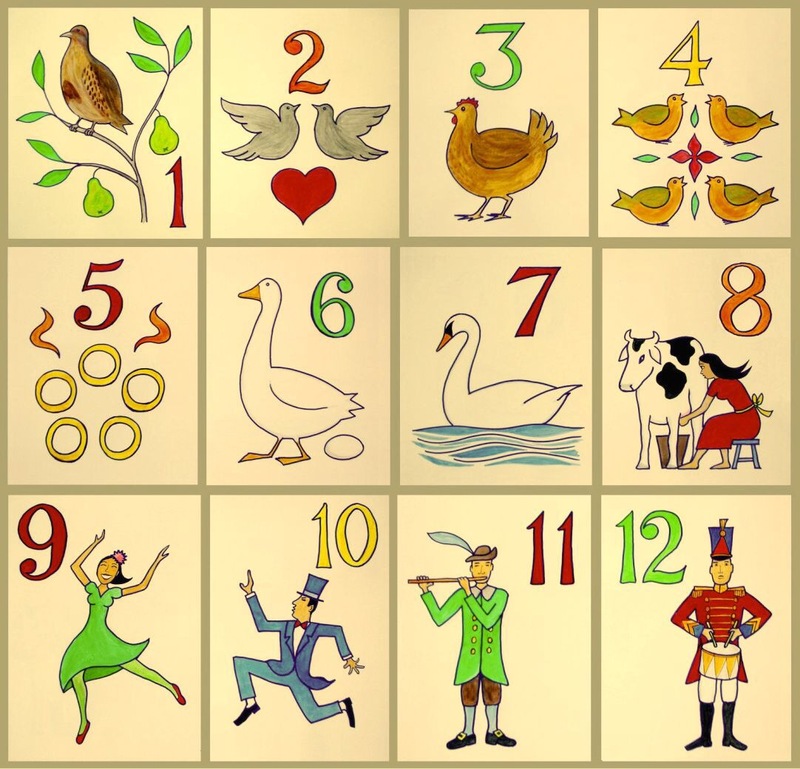 We all know the song, “The Twelve Days of Christmas.” Love it or hate it, there’s something about it that has caught and held our collective imagination for the 235 years since it was first published in England. It’s probably even much older than that, with French versions dating well back further in history. The twelve days mentioned in the song begin with Christmas Day and continue through Epiphany, also called Twelfth Night, on which we celebrate the arrival of the Magi and their gifts. As a children’s song, it has been used to teach some of the basic beliefs of Christianity. The next time you hear it being played on the radio, listen to it with the ears of faith and you’ll be reminded of the beauty and the real meaning of Christmas. The “true love” mentioned as the giver of all the gifts is, of course, God Himself, Who gives us everything that is good. The Partridge in a Pear Tree is Jesus Christ. Given on the first day of Christmas, Jesus is our greatest gift. Partridges will fiercely protect the chicks in their nests, even to the point of sacrificing themselves to save their offspring from a predator. The Pear Tree represents the Virgin Mary, who gave Jesus His first home, bearing the sweet fruit of our salvation in her spotless body. The Two Turtle Doves we receive on the second day represent the Old and the New Testaments. Together, these Holy Scriptures reveal to us the story of creation and the love of God for His people. We learn how this relationship was broken through sin and how God went about redeeming us through the sacrifice of His Son on the Cross. On the third day of Christmas, we receive Three French Hens. Most believe that these gifts recall the precious offerings by the wise men to the Christ Child. Gold, frankincense, and myrrh remind us to always give our best to Christ. The fourth day comes with a gift of Four Calling Birds. These are the four Gospels of St. Matthew, St. Mark, St. Luke, and St. John which call all of us to new life in Christ. The Five Golden Rings of the fifth day represent the Torah, the first five books of the Old Testament. The Pentateuch gives us the history of God’s people and reveals to us His love, in spite of our unfaithfulness. On the sixth day, we’re given the Six Geese A-Laying. God created the world and all that is in it in those first six days. This verse reminds us to be grateful to Him for all His gifts and to be a good and faithful steward of creation. Seven Swans A-Swimming come to us on the seventh day. In Romans, we’re told by St. Paul about the seven gifts of the Holy Spirit: wisdom, understanding, counsel, fortitude, knowledge, piety, and fear of the Lord. In the Catholic Church, there are also seven Sacraments given to us by Jesus: Baptism, Confirmation, Confession, Holy Eucharist, Holy Matrimony, Holy Orders, and the Anointing of the Sick. The eighth day of Christmas reveals the Eight Maids A-Milking. These recall the eight Beatitudes preached by Jesus in the Sermon on the Mount. Like milk feeds our bodies as food, the Beatitudes feed our spirit in how to live the Gospel of Christ. The ninth day dawns with the Nine Ladies Dancing and these remind us of the fruits of the Holy Spirit which St. Paul recalls in Galatians. When our lives bear this holy fruit, we are distinguished by our: love, joy, peace, patience, kindness, generosity, faithfulness, gentleness and self-control. On the tenth day of Christmas, we receive the Ten Lords A-Leaping which are the Ten Commandments. They reveal to us God’s path of righteousness leading to a life that is pleasing to God. The Eleven Pipers Piping on the next day are the eleven faithful Apostles who answered the call of Jesus. Judas, who betrayed our Lord, is not included in this number. And on the last of the twelve days, we receive the Twelve Drummers Drumming. These are the twelve statements of belief which Christians profess in the Apostles’ Creed. So the next time you hear this old, familiar song, remember that each verse reminds us of the great love of our God and His plan for our salvation. Celebrate the birth of His Son and sing to Him in grateful joy for the gift of the Christ Child. And remember that Christmas is a season and not just one day—celebrate each of the twelve days of Christmas! That Horrible Smell? It’s Me……. This time of year is filled with stuff that triggers our memories of Christmases past. Maybe nothing transports us to another time and place more immediately than the smells we associate with this season. I’ll bet you can easily name a half-dozen smells that come to mind. A fresh-cut Christmas tree. A bayberry candle. Cookies baking in the oven. A dusting of nutmeg on a cup of eggnog. Wood smoke. Incense at Mass. Scientists tell us that our sense of smell is very closely tied to our memories. Without requiring any thought on our part, a smell can call forth memories and emotions. I think this is especially true at Christmas, when smells and memories are so incredibly strong. After all, we don’t usually recall the “smells” of Halloween or Easter or Labor Day. Christmas is a time set apart for remembering. We can imagine the smells of that first Christmas, too. Maybe a little more earthy then our modern holiday. The smells of hay and grain. The pungent odor of manure. The stone and the wood of the walls and the manger. The animal smells of the warm donkey, sheep, and goats. Later, of course, we would smell the spicy frankincense and myrrh brought by the Magi. The incense we use at Mass recalls the sweet smoke of the Temple priests as they prayed for the people of God. And myrrh which was used to anoint the bodies of the dead, foreshadowing the Crucifixion. Holy Scripture shares many verses about smells: from how the Lord enjoyed the odor of Noah’s animal sacrifices (Genesis 8:21), the sweet incense offered to Him by His priests (Exodus 30:26-27) to the anointing of Jesus by Mary of Bethany on the night before He died (John 12:3). St. Paul tells us that our very lives “are a Christ-like fragrance rising up to God”(II Corinthians 2:14). We associate holiness with a sweet aroma that is pleasing to God. And we think of sin as having the acrid odor of corruption and decay. This seems logical since sin equals death and death stinks. When something or someone dies, cells break down, toxins emerge, tissues fall apart. And what was once the sweet aroma of life transforms into the noxious, rancid fester of decay.. One of my favorite images from Holy Scripture is the story of Jesus’ friend, Lazarus, who had died and been buried in a tomb. Jesus loved Mary and Martha, who were Lazarus’ sisters and He went to see them and give them comfort. But the comfort He planned to share went beyond the ordinary. He walked to Bethany to raise Lazarus from the dead. Even after his body had been rotting in the tomb for days. When He tells Martha what He’s about to do, ever-practical Martha gives one of the best one-liners in the Bible: “”Lord, there will be a stench”(John 11:38). Jesus calls Lazarus to life and out of the grave he comes, still wrapped in his funeral shroud. Then, another great verse, as Jesus tells His followers,”Unbind him, and let him go”(John 11:44). And that, my friends, is exactly what Jesus does for you and for me in the Sacrament of Confession. Sin makes me stink. Serious sin disrupts my relationship with God–it takes my spiritual life away and leaves me dead inside. I’m wrapped up in the trappings of my bad choices, constrained by the shroud of sin. 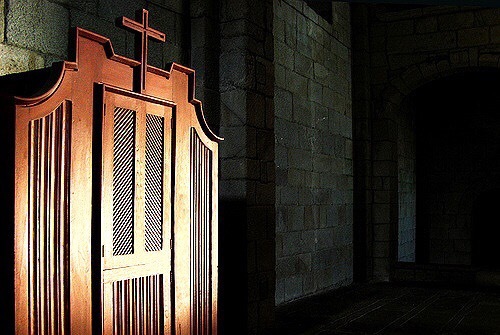 Confession frees me, it allows me to come clean and to encounter the life-giving mercy of my Savior. His grace unbinds me from my trappings and makes me a new creation, alive again in Him. Through His priest, I hear those great words of forgiveness and mercy. Like Lazarus, He raises me from the dead and lets me go free. He welcomes me back from the dead and my rotten stench is filled with His sweet aroma. Every confession is no less of a miracle than when Jesus raised Lazarus from the dead. And He is waiting there to do the same for you. Whether it’s been two weeks or 25 years since your last confession, this season of Advent is the perfect time to come home. As we prepare to welcome His birth in Bethlehem, confession prepares us to meet Him again in our hearts. You’ll be unbound from the binding of your sins and once again, you can offer your life as a sweet-smelling sacrifice to Him. Don’t be afraid. Coming home to the Lord smells like hope.